Traveling offers one with the opportunity to explore the world, create wonderful memories and gain new experiences. Most of us would probably jump at the idea of travelling as we finally get to have a well deserved break. However, travelling can be an expensive affair: Airfare, accommodation, transportation, guides, and everything else cost money. Thus, some resort to borrowing to fund their expedition. But is such a decision wise? What should one have before applying for a vacation loan? And what other options can one pursue? Taking an unplanned break from work and deciding to go on vacation. Since they hadn’t budgeted for travel, they are forced to take a loan. Getting invitations from traveling parties on short notice when they haven’t saved enough money – yet they can’t say no as they may feel bad. There also people who are fond of borrowing and will take loans for basically everything – including luxury tours. Who Is Eligible For A Vacation Loan? Annual Income: Most banks ask for a minimum of S$20,000 as annual income for citizen and permanent residents and S$45,000 minimum for foreigners. 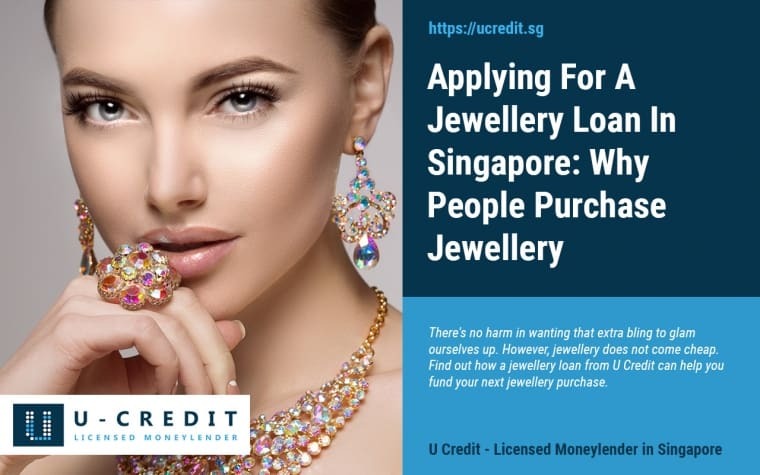 At U-Credit, our rates differ across your annual income and we do offer loans to those who have an annual income of less than S$20,000. Age: Applicants must be of a certain minimum age (some banks loan only those aged 21 years and above though a few start at 18 years). At U-Credit, we only offer loans to those above 21 years of age. Employment status: Salaried professionals, the self-employed, contract/temporary workers and businessmen can apply for this financial assistance. For foreigners, a valid working permit is needed. Residency status: Singapore nationals, permanent residents of Singapore and foreigners who have a passport and valid employment pass. While it is true that vacation loans generally come at a lower rate compared to credit cards, different institutions quote different rates. As of 1 October 2015, the maximum interest rate moneylenders can charge is 4% per month. Is there space for another loan in the budget? If the salary is already over committed, it would be unwise for one to add to his debt burden as it may mean diverting money set aside for other important undertakings such as savings. Needless to say, it’s better to use one’s own money for such spending since no cash inflows are expected from them in future. Therefore, one can consider postponing the trip until such a time when they have made enough savings to cater for the trip, instead of lumping up extra debt. As way of reducing the cost, one can consider borrowing from other interest-free sources such as friends and relatives. Such credit is not only cheaper but also more flexible as it may be possible to negotiate a longer payment period. Even before everything else, individuals should check the conditions set by the target financiers and ensure they meet them. That’s because bankers are very strict when it comes to lending money as a precaution against risky borrowers. A lower interest rate compared with credit cards so it’s a much cheaper source of funding.  Like any other personal loans, they have a more flexible repayment schedule and easier terms. 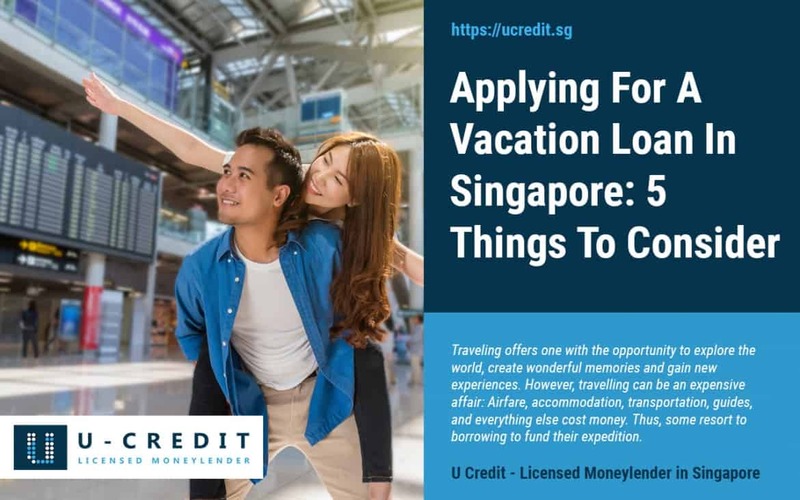 One can borrow the full amount needed for the trip (depending on your annual income) while a credit card loan amount cannot exceed the available card limit. Travelling is fun in many ways. However, the involved costs can sometimes make it appear out of reach. Travel loans, are thus, a worthwhile consideration based on the circumstances. Before applying for a vacation loan, it is also important for one to ascertain whether one is able to repay the loan and if there are better ways of financing a trip, before signing up for such a loan. Otherwise, with proper calculations, vacation loans are a handy option for ardent adventurers. They can help to bring you one step closer to your dream destination. At U Credit, our vacation loans are flexible and can be tailored according to your needs. Talk to us to find out more about our vacation loans today.